Designed specifically for the Raspberry Pi Zero this reduced sized board packs the GPS antenna, Radiometrix MTX2 and LoRa Radio modules all on one Pi Zero sized board. As with our full sized offerings this board is a GPS receiver and radio transmitters designed for tracking high altitude balloon flights utilising a Raspberry Pi Zero+. Due to availability issues especially outside of the UK we are supplying this kit complete with a Raspberry Pi Zero and 32Gb preconfigured SD Card. This unit will by default transmit on 434.200Mhz RTTY callsign CHANGEME and 434.475Mhz LoRa CHANGEME call sign. 2 x RG174 Tails for making into an antennas see this article. PITSZero takes the successful Pi In The Sky design and puts it in the PiZero form factor. Equipped with an on board GPS antenna, dual radios, step up converter and temperature sensor its had everything you need for a successful balloon flight. 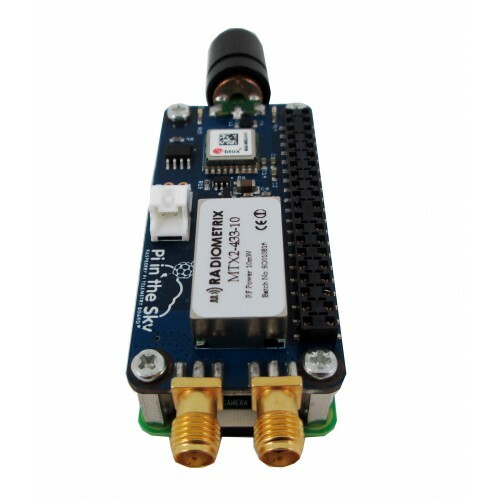 Highly sensitive UBlox GPS receiver suitable for altitudes up to 50km with Sarantel/Maruwa antenna. 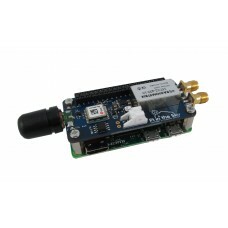 LoRa(TM) Radio for telemetry and images. Onboard 0.5A buck/boost regulator to provide power from an input voltage range from 1.4V to 5.5V.